Another comic for your enjoyment. 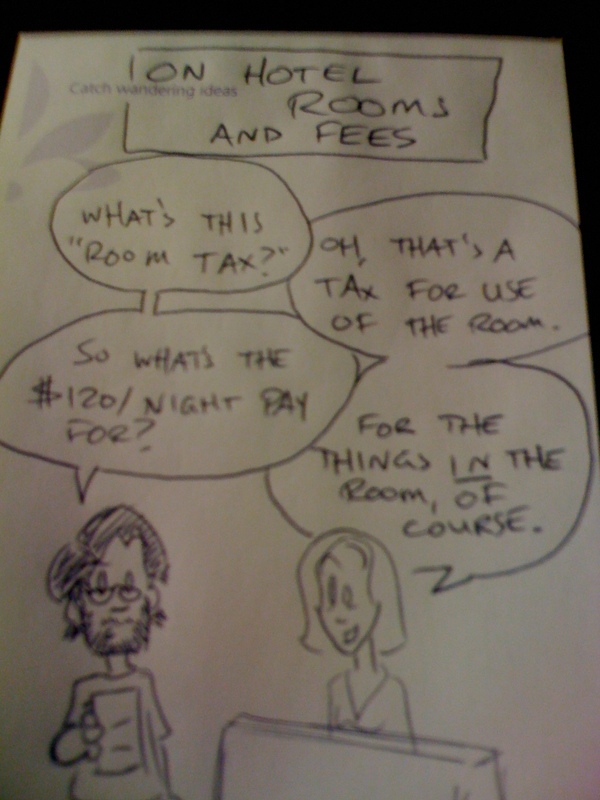 Seriously though, why say the room rate is $120/night if you’re going to add a series of “taxes” that ends up around $15/night extra? It feels disingenuous to me. 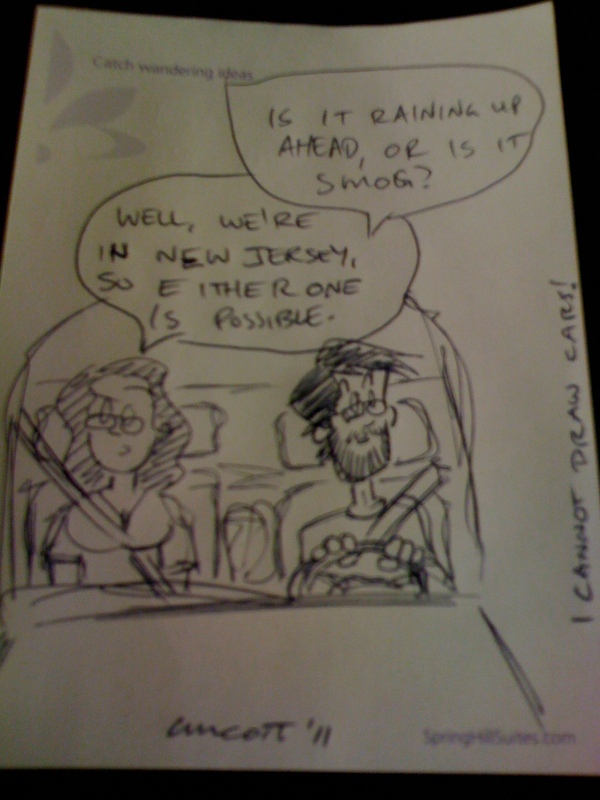 Actual conversation held with my wife during drive to New York today.